Zoom in close to Crickley here! And I'm taking part, documenting work on Crickley - it's unlikely to be very exciting, though who knows what may turn up?! Think I've now cracked digitising in QGis, so hope to start this as soon as the plans are scanned (with the help of Dan B). Wouls like to welcome on board two more volunteers - thanks to Wendy & Dan for joining the team! Crickley Hill is an Iron Age hillfort in Gloucestershire that, like many in the west, probably had some late pre-Roman Iron Age activity after a period of abandonment, with sporadic activity during the early Roman period. It was perhaps during this time that occasional buildings were built on the top of the silted-up rampart ditches, and near to the main rampart entrance, although these structures alternatively belong to the later Roman period. A prehistoric ritual monument on the site - the 'Long Mound' - received votive deposits during the Roman period. There was also a possible rectangular Roman masonry structure near the western end of the hill. During the later Roman period (or possibly during the early 5th century), the hill was once again occupied, perhaps initially within the entrance for industrial activity (although again, this may belong to the earlier Roman phase). A village was built behind the rampart, mainly consisting of 'scooped' buildings arranged in rows; there was also evidence for industrial activity in this area. Buildings were sub-rectangular and sub-circular (perhaps in some cases, polygonal), and would perhaps have been built of cob or turf, with low thatch or turf roofs, and were only single roomed, although perhaps had some form of partition in one case. On the western end of the hill, a second, probably contemporaneous, settlement was built. This settlement was enclosed by a palisade fence (which perhaps had a 'guard-house' at the entrance), and contained a granary (itself enclosed within a separate fence), suggesting its higher status. The buildings of this settlement were more substantial, and probably timber-framed (sitting directly on the ground-surface), or post-built, resting upon post-pads. They were mainly circular, although the central building was rectangular, and partitioned. This building had a substantial hearth, as well as a number of cooking pits nexts to the front walls. At some point during or after the Roman period, a monument was built on the north-west terrace of the hill - a scaled-down version of the Long Mound (hence known as the 'Short Mound'). Strangely, the buried features of the Long Mound were replicated. The Short Mound didn't receive votive deposits during the Roman period (perhaps suggesting its later date), and therefore dating is difficult. 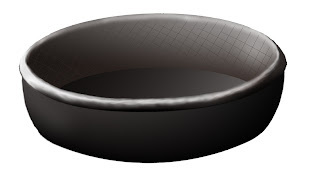 However, it was stratified over the LPRIA path down the tip of the hill to the Vale, upon which and embedded within was a near-complete local grey ware bowl, imitating BB1, giving an early Roman TPQ (although the bowl may even date to the 5th century). Near to this mound was a structure, possibly associated with worn later Roman ceramics. Both settlements were burnt down, and re-built to similar plans to, and nearby, the earlier buildings. However, they were burnt down again, and the settlement abandoned. After a period of abandoment, sporadic finds indicate activity in the mid Saxon period. Vol. 6 of the Crickley Hill reports, covering the Roman & Early Medieval phase, is currently in preparation. Contact me if you require interim information on this phase of the site, and I'll do what I can to provide this. 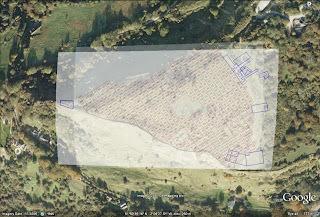 Although under major revision, I have already presented much of my research as an MA: Jarrett, K 1999, The Late / post-Roman Settlement at Crickley Hill, Gloucestershire, University of Nottingham. If a summary is required, contact me for details. I studied archaeology at the University of Nottingham (BA Archaeology & MA Archaeological Research), and undertook my PhD research (Ethnic, social, and cultural identity in Roman and post-Roman Western Britain) at the University of Sheffield. I'm in the process of completing post-excavation research on the Roman and post-Roman activity at Crickley, in preparation of Vol. 6 of the series of site reports. I also have an interest in the archaeology of early 20th century Britain, in particular what archaeology might tell us about the constriction of social identities (such as gender, status, and national identity) within domestic contexts. I currently run a community archaeology project, investigating everyday (mostly working-class) life in the Midlands during the late 19th - early 20th century. I am also a freelance teacher in the continuing education sector, and undertake talks for schools, museums, and other institutions (having taught for the Continuing Education Depts. at the University of Nottingham, Keele University, and the University of Oxford, and for the WEA.